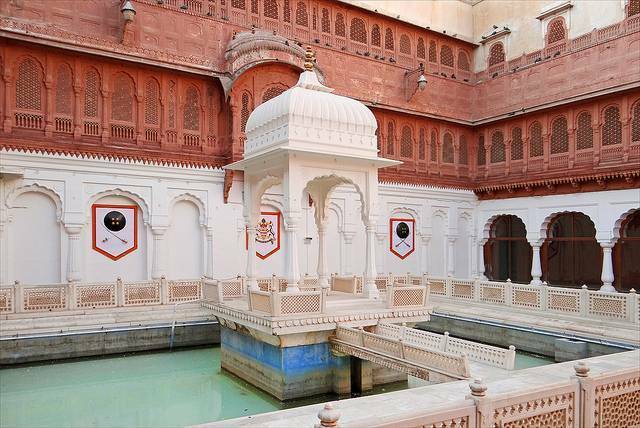 Junagarh Fort in Bikaner was built in 1593 and since then has never been conquered or seized. The fort comprises several different interior building as well as a temple. It’s one of the few forts in Rajasthan not built on a hilltop, and the bustling city of Bikaner developed around it. Red sandstone and marble were used in the construction.